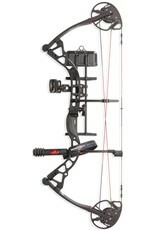 The Fuel, an incredibly adjustable bow perfect for archers of all ages, sizes and skill levels. The Fuel features a rock-solid riser for supreme durability with Bowtech’s Binary Cam System for maximum precision and arrow speed. The Fuel is anything but average.